Palma key activities centre around its nightlife and the town is well known for its foam parties, discos, bars and nightclubs. The Aqualand theme park, a short drive away from the city, is great fun for the whole family. There are several excellent golf courses around town, as well as good hiking trails in the rocky Majorcan hills. The popular island of Majorca enjoys over 300 days of sunshine every year. The largest of the Spanish Balearic Islands and boasting countless beautiful sandy beaches, calm seas and picturesque scenery, Majorca is particular popular with European visitors. Majorca’s capital Palma (also known as Palma de Mallorca) is located on the south of the island and is an interesting city with many historic sights and attractions. Majorca’s main airport can be found in the city of Palma with a great choice of scheduled airlines, low cost airlines and charter airlines operating flights from most of the UK airports. 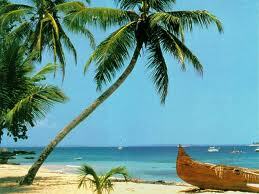 With a flight time of just over 2 hours, direct flights to Palma on British Airlines and Monarch are very popular. 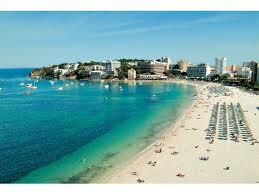 There is also a good selection of low cost flights to Palma, Spain on easyJet and Jet2. As well as being the capital of Majorca, Palma is in fact the capital city to the whole of the Balearics and the commercial and political centre for the Islands. In addition to attracting visitors from all over Majorca on day trips, Palma has become a popular city break destination thanks to its cultural attractions, chic shops and cosmopolitan nightlife. Palma has managed to maintain its traditional heritage and laid-back charm which exists alongside its newer and more youthful side. A great way to get a feel for Palma is to wander through its maze of alleyways and backstreets complete with pretty old town squares and traditional craft shops. Palma’s best visitor attractions include the gothic Basilica of St Francis, Bellver Castle believed to be Spain’s sole circular castle which is now home to a history museum with stunning views from its rooftop and La Seu cathedral, one of Palma’s most famous landmarks which was remodelled by Gaudi and boasts an impressive waterfront location. Don’t miss Palma’s Museum of Modern and Contemporary Art featuring famous paintings by Dali, Picasso and Matisse. Head down to the port and admire the magnificent maritime buildings and cruise liners and luxury yachts currently in town. With flights to Majorca, Spain being in high demand, we would recommend you book in advance to secure the cheapest flights to Palma, Spain. To get the best deals on cheap flights to Palma, Spain, try also to avoid travelling during the busiest periods of the year, in particular the school holidays and bank holidays. Our flight comparison tool will find the best deals on flights to Majorca whether you have travel dates in mind or are just looking for lastminute flights to Palma, Spain. Mallorca has an ideal climate for holidaymakers with little rain and average temperatures kept below 86ºF (30ºC) even in mid-summer. Temperatures remain nice in the spring and autumn and even in winter rarely drop below 50ºF (10ºC), though rain is more likely at this time of year. Water temperatures range from 64ºF (18ºC) in May to 79ºF (26ºC) in August making Mallorca ideal for watersports.